They say that a good eyebrow shape can work like a face lift, opening the eye and taking years off the face. A brow and lash tint, especially if you have fair hair, can also be a transformation giving definition to the eyes and giving you extra confidence when you don’t want to wear makeup. These fantastic value quick and easy treatments are ideal for holidays or when you just want to look your best with minimal time and effort. Some people who have an intolerance to mascara also find regular lash tinting; a great alternative. There’s a lash / brow tint shade for everyone. For great looking brows, choose from grey brown (great for ash blond to mid ash brown colorings), warm brown (for warm toned blonds or red heads) and black for brunettes. For natural but defined eyelashes choose from blue/ black for a glossy more dramatic effect or natural black or brown if you are very fair. If you’re not sure, we at JOZ SALON & SPA are happy to advise you the best shade that would suit your style and coloring. 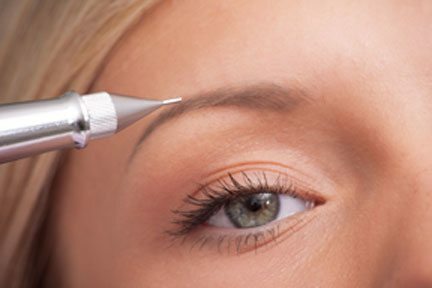 For eyebrow shaping we use painless hot wax followed by tweezing, combing & trimming to achieve detailed definition. Painless hot wax is made from 100% natural ingredients and is 100% hygienic (spatulas are never double dipped into the wax) and special formulation means that it grabs only hair and not skin. This means much less discomfort during treatment and less irritation following treatment on even the most delicate and sensitive facial skin.